Hurricane Matthew made landfall in 2016, permanently damaging Elliot Millpond. 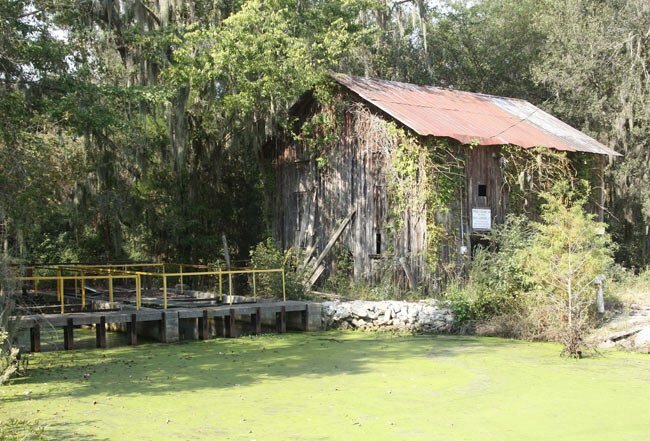 Duckweed blankets the Elliott Millpond in Halfway Swamp, concealing a fishing spot that was once worth five dollars for a day of baiting the hook. 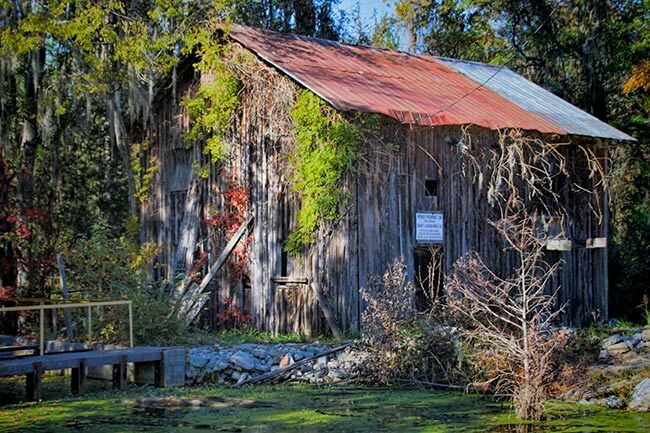 The Clarendon County community of Rimini is home to the former mill house, which served as the Rimini Fish Camp and still touts its prices for fishing and boating in the cypress swamp. 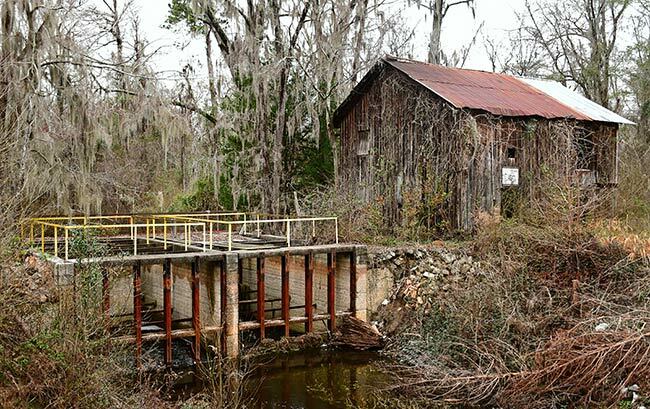 The sawmill operated here by the Elliott family closed in 1945, about a decade after Santee Cooper forced the family to relinquish 300 acres of their property to build Lake Marion. 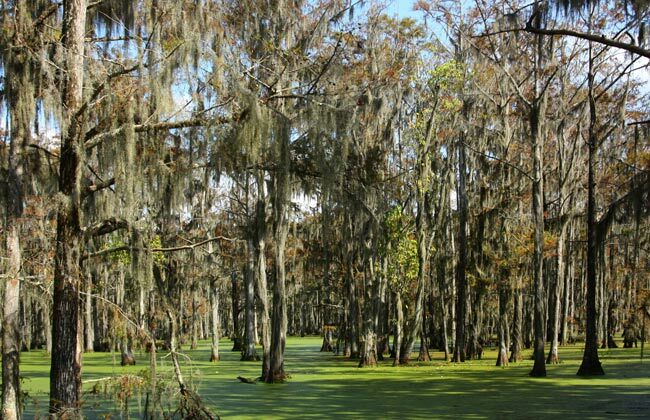 Interestingly, Halfway Swamp was the site of a Revolutionary War ambush in 1780 near Elliott Millpond. General Francis Marion and his brigade hid here and ambushed British troops on their way to Camden. The family currently operates Elliott’s Landing and Campground, still selling bait and tackle and renting handmade cypress boats for $2 a day. I was born in 1928, ten years before the construction of Santee-Cooper in 1939. My dad and I fished Elliot’s Mill Pond before 1939 AND after 1939. Santee was/is great fishing but nothing was like Elliot’s Mill Pond for bream fishing with a cane pole, catawba (sp?) worms, a porcupine quill float, and a wooden boat. My dad taught me to paddle the boat with a short “bream” paddle, leaving the paddle in the water on one side of the boat at all times — except when the quill turned up and then went under. I could paddle the boat and fish at the same time. There was no (or little) duck weed when I fished the pond, but the trees were thick and made casting a bit difficult except in a few open areas near the center of the pond. I have never bream-fished a pond that I enjoyed more than Elliot’s Mill Pond. Your pictures are beautiful. Thanks for sharing them. Thank you for that update. I have my fingers and toes crossed, hoping the SC Govt. will recognise the value of this beautiful historic area. Elliotts Landing to visit my family. You can still get there with good directions, by contacting Elliotts Landing. They'll be glad to help. 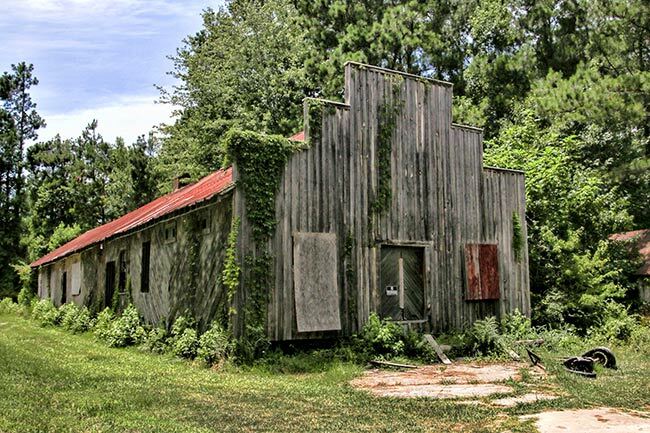 Mike Stroud's photos of my family's mill pond and grist mill are beautiful! Unfortunately, the bridge was destroyed in the recent storms and flooding. The road is impassable, and the pond water is very low. Apparently, there is some doubt as to when or if the bridge will be restored, and the road opened. The mill and bridge date back to the American Revolution. The Old River Road connects Rimini to Summerton, St. Paul, Santee and beyond. I hope the SC Department of Transportation will be able to solve the problem soon.